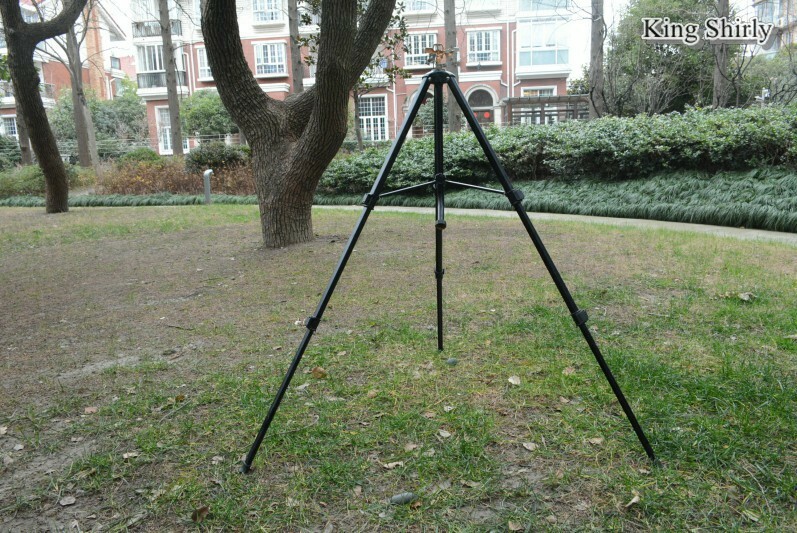 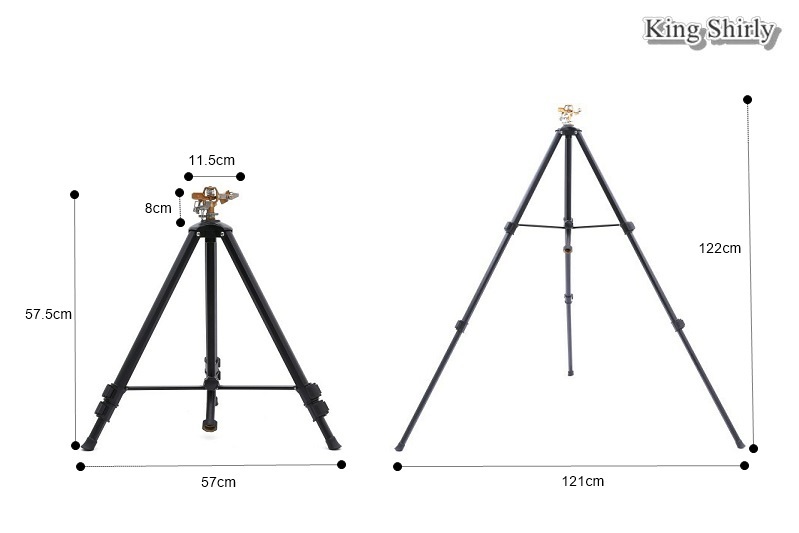 Solid metal pulsating sprinkler with telescopic tripod base generates powerful and adjustable water sprays. 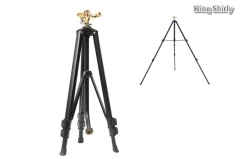 Erects high, great for irrigating a stretch of tall crops and plants. 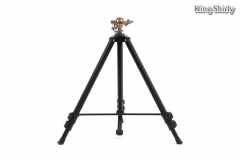 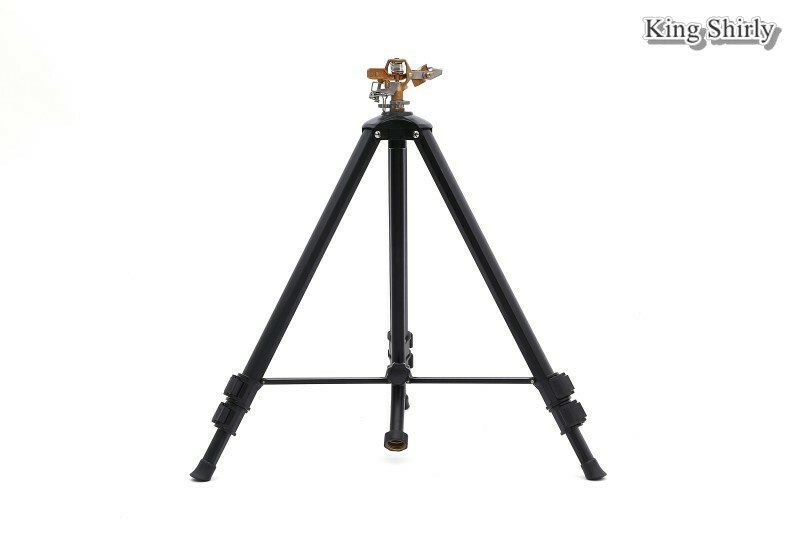 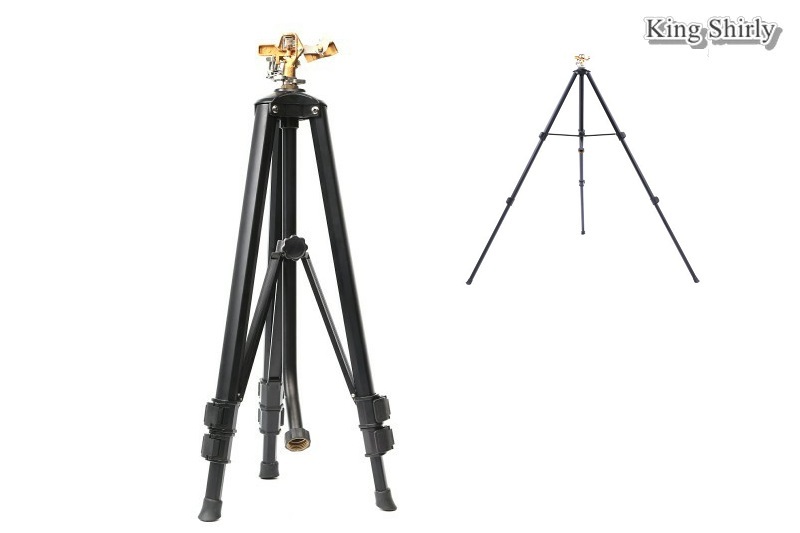 This metal pulsating sprinkler is built with brass on the sprinkler head and aluminum on the tripod base. 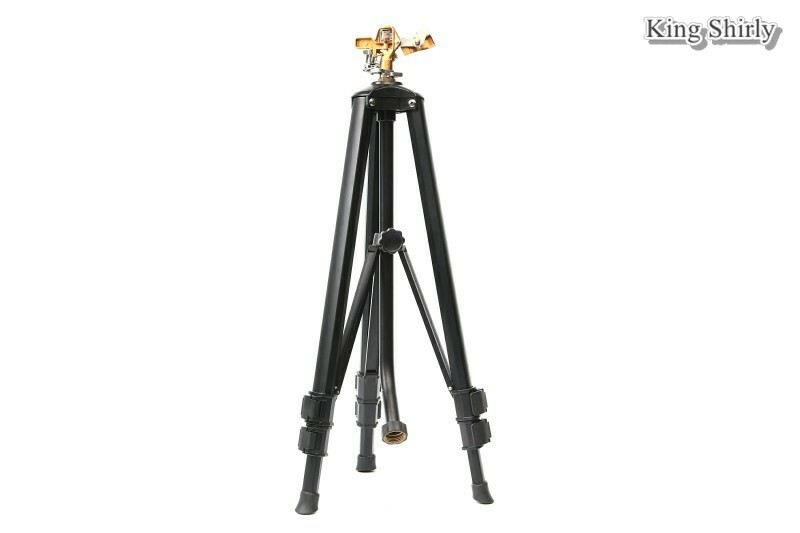 Coating treatment for rust resistance. 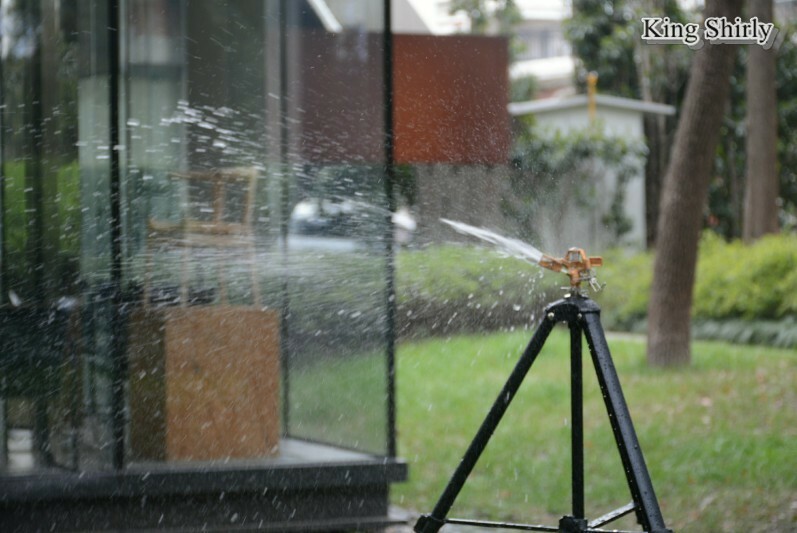 It generates powerful water sprays covering up to 20m of distance. 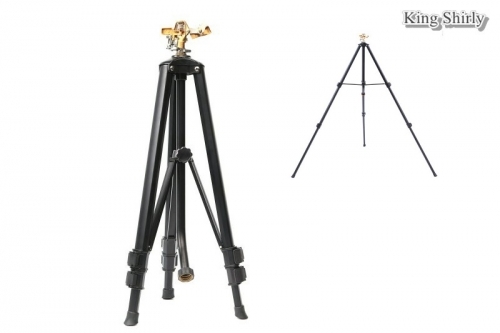 It's flexibly adjustable in spray distance, density and covering zone from 0°-360°. 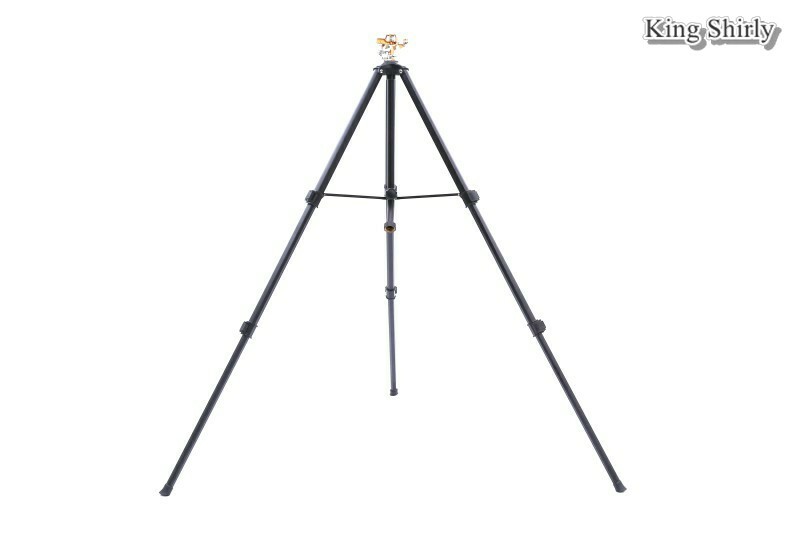 The aluminum tripod extends via quick click locks from 57.5 to 122cm, great for irrigating a stretch of tall crops and plants. 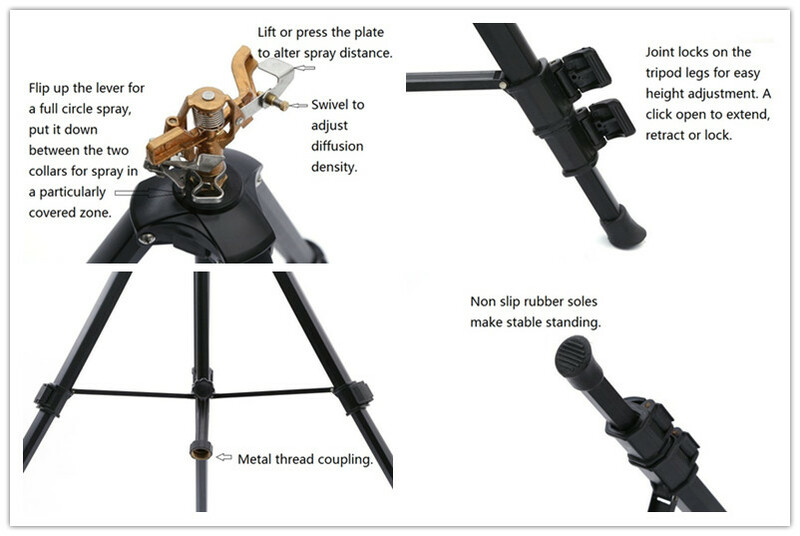 Thread coupling for hose connection.